I have seen my share of time travel movies and television programs over the years. But I do not believe that I have never seen one as ethereal as the 1951 movie called “I’LL NEVER FORGET YOU”. A second adaptation of John L. Balderston’s 1927 play, which was an adaptation of Henry James’ incomplete novel, “The Sense of the Past”; “I’LL NEVER FORGET YOU” told the story of an American nuclear physicist named Dr. Peter Standish, who is transported to London of the late 18th century. The story begins when a co-worker of Peter’s with the British nuclear program, Dr. Roger Forsyth, expresses concern about the former’s lack of social life. As the two become friends, Peter reveals that he had inherited an old house located at London’s Berkeley Square by a distant relative. He also also reveals that he was a descendant of an American Tory who had immigrated to Britain after the Revolutionary War to marry a cousin named Kate Pettigrew. Not long after this revelation, a thunderstorm sends Peter back to 1784, where he takes the place of his late 18th century ancestor, the other Peter Standish. However, once 20th century Peter settles into his new life, he is struck by a series of surprises. One, he finds himself slowly falling in love with his fiancée’s younger sister, Helen Pettigrew. Peter discovers that Georgian era London is not the paradise he had assumed it to be for years. He also realizes that his occasional lapses of judgment, in which he uses modern day language and revealing information he could not have known if he had actually grown up in the 18th century. Peter’s occasional lapses and his feelings for Helen lead to growing antagonism toward him from not only his fiancée Kate, but also from Mr. Throstle, the man to whom Helen had been promised; leading to potential disaster for him. I am usually a big fan of time travel movies. But if I must be honest, my reason for watching “I’LL NEVER FORGET YOU” stemmed from sheer curiosity and nothing else. I never really thought I would be impressed by this movie. And I was . . . much to my surprise. Mind you, the film’s method of time travel – a bolt of lightning – struck me as unrealistic, even from a fictional point of view. There was no machine or vehicle like a Delorean to channel the energy from that bolt of lightning. Instead, the Peter Standish was struck by lightning and transported some 160 years back to the past. That he survived being struck is a miracle. Nevertheless, I still enjoyed “I’LL NEVER FORGET YOU” very much. At its heart, the movie featured two genres – time traveling and romance. And both seemed to intertwine perfectly, thanks to director Roy Ward Baker, who directed the 1958 classic, “A NIGHT TO REMEMBER”. There have been time travel movies in which the protagonists are slightly taken aback by the “primative” conditions of the time period in which they end up. But I found Peter Standing’s reaction to the reality of 18th century London rather enjoyable on a perverse level. I found it satisfying to watch him come to the realization that 1784 London was not the social paradise that he had assumed it was. “I’LL NEVER FORGET YOU” is also one of the rare works of fiction that pointed out the lack of decent hygiene that permeated Western society before the 20th century. Between Peter’s disgust at London society’s array of body odors and their bafflement at his habit of a daily bath, I was nearly rolling on the floor with laughter. But more importantly, “I’LL NEVER FORGET” is a poignant love story between Peter and Helen. What made it very satisfying for me is that Helen was the only one who seemed to have a bead on Peter’s personality. More importantly, she seemed to be interested in Peter’s comments about the future, instead of repelled by them. 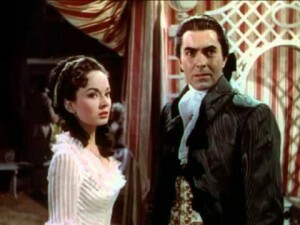 But what really made the romance between Peter Standing and Helen Pettigrew worked were the performances of the two leads, Tyrone Power and Ann Blyth. Thanks to their intelligent and subtle performances, they made Peter and Helen’s love story believable. I was surprised that Michael Rennie had such a small screen presence in the movie, considering that he had received third billing. Nevertheless, I thought he gave a pretty good performance as Peter’s 20th century friend and colleague, Dr. Roger Forsyth. 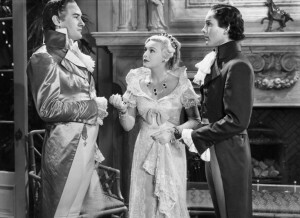 Another performance that caught my attention came from Dennis Price, who gave a very entertaining performance as Helen and Kate’s brother, a dye-in-the-wool late 18th century cad, Tom Pettigrew. Kathleen Byron gave an energetic and brief performance as Georgiana Cavendish, Duchess of Devonshire. The movie also featured solid performances from Beatrice Campbell, Raymond Huntley and Irene Browne, who not only portrayed the Pettigrew matriarch in this film, but also in the 1933 version, “BERKELEY SQUARE”. Although I found the mode of time travel rather implausible – being struck by lightning, I must admit that I enjoyed “I’LL NEVER FORGET YOU”. In fact, I enjoyed it a lot more than I thought I would. And I have to thank Ranald MacDougall’s adaptation of John L. Balderston’s play, intelligent performances from a cast led by Tyrone Power and Ann Blyth, and more importantly, intelligent and subtle direction from Roy Ward Baker. I had been a fan of Elizabeth Gaskell’s 1855 novel, ever since I first saw the 2004 television adaptation a few years ago. Mind you, I had never read the novel. And I still have yet to read it. Despite this, I became a fan of the story. And when I learned that the BBC planned to release an older adaptation of Gaskell’s novel, which first aired in 1975, I looked forward to seeing it. As one would assume from reading this review, I eventually purchased a copy of the 1975 adaptation on DVD. And if I must be honest, I do not regret it. “NORTH AND SOUTH” proved to be a pretty damn good adaptation. Like the 2004 version, it consisted of four (4) fifty-minute episodes. Gaskell’s novel told the story of one Margret Hale, who returns home after ten years to her cleric father’s rector in Helstone, after attending the wedding of her cousin, Edith Shaw. Margaret’s homecoming is short-lived when she and her mother learn that her father Richard Hale has left the Church of England as a matter of conscience, after he has become a dissenter. His old Oxford friend, Mr. Bell, suggests that the Hales move to the industrial town of Milton, in Northern England; where the latter was born and own property. Not long after the Hales’ arrival in Milton, both Margaret and mother Maria Hale find Milton harsh and strange. Due to financial circumstances, Mr. Hale works as a tutor. One of his more enthusiastic students turn out to be a wealthy cotton manufacturer named John Thornton, master of Marlborough Mills. Appalled by the conditions of the poverty-stricken mill workers, Margaret befriends the family of one Nicholas Higgins, a union representative. She also develops a dislike of Thornton, finding him gauche and seemingly unconcerned about his workers’ condition. Unbeknownst to Margaret, Thornton has grown attracted to her. The volatile relationship between Margaret and Thornton eventually plays out amidst the growing conflict between mill owners and angry workers. As I had stated earlier, “NORTH AND SOUTH” proved to be a pretty good adaptation. 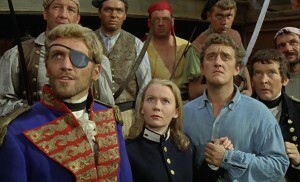 I have a tendency to regard BBC miniseries produced in the 1970s with a jaundice eye, considering their tendency end up as televised stage plays. 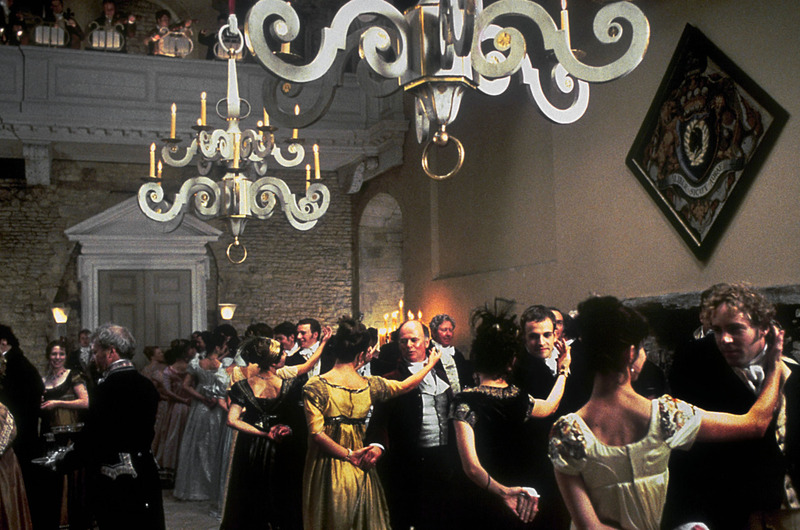 Thanks to the conflicts, social commentaries and romance featured in “NORTH AND SOUTH”, the miniseries was never boring. Many viewers who have seen this version of Gaskell’s novel claim that it was a more faithful adaptation than the 2004 miniseries. I cannot agree or disagree, considering that I have yet to read the novel. But I have never been too concern with the faithfulness of any movie or television adaptation, as long as the screenwriter(s) manage to come up with decent script that adheres to the main narrative of the literary source. Fortunately, David Turner did just that. His screenplay, along with Rodney Bennett’s direction, explored all of the aspects of Gaskell’s 1855 novel – the reason behind the Hales’ move to the North, the labor conflicts between the workers and the mill owners, Margaret Hale’s conflict/romance with John Thornton, the latter’s relationship with his mother, Nicholas Higgins’ conflict with fellow mill worker Boucher, and the fragmentation of the Hale family. Also, Bennett directed the entire miniseries with a steady pace that kept me alert. It is a good thing that Bennett’s pacing kept me alert . . . most of the time. Like many BBC productions in the 1970s,“NORTH AND SOUTH” did come off as a filmed play in many scenes. Aside from Margaret’s arrival in Helstone inEpisode One, the labor violence that erupts within the grounds of Marlborough Mills in Episode Two and the delivery of Boucher’s body in his neighborhood; just about every other scene was probably shot inside a sound stage. And looked it. This even includes the Milton train station where Margaret says good-bye to her fugitive brother, Frederick. Now many would state that this has been the case for nearly all BBC miniseries productions from that era. Yet, I can recall a handful of productions from the same decade – 1971’s “PERSUASION”, 1972’s “EMMA” and even “JENNIE, LADY RANDOLPH CHURCHILL” from 1974 – featured a good deal of exterior shots. And there were moments when some scenes continued longer than necessary, especially in Episode One. Margaret’s conversation with her cousin Edith and Mr. Hale’s announcement of his separation from the Church of England seemed to take forever. And due to this problem, there were moments went the miniseries threatened to bog down. But as much as I liked Turner’s adaptation of the novel, it seemed far from perfect. One aspect of the script that really irritated me was that Turner had a habit of telling the audiences what happened, instead of showing what happened. InEpisode One, following their arrival in Milton, Margaret tells her parents that she met the Higgins family. The miniseriesnever revealed how she met Nicholas or Betsy Higgins in the first place. The series never revealed the details behind Boucher’s death in Episode Four. Instead, a neighbor told Margaret, before his body appeared on the screen. We never see any scenes of Fanny Thornton’s wedding to mill owner Mr. Slickson. Instead, John tells Mr. Bell about the wedding in a quick scene between the two men on a train. Also, I found Margaret’s initial hostility toward John rather weak. A conversation between the two about the mill workers took part after audiences met the Higgins family. It is easy to see that John’s arrogant assumption regarding his control of his workers might seemed a bit off putting to Margaret. But it just did not seem enough for her hostility to last so long. And while the script probably followed Gaskell’s novel and allowed John’s regard for Margaret to be apparent before the end of Episode One, I never felt any growing attraction that Margaret may have felt toward John. Not even through most of Episode Four. In fact, Margaret’s open declaration of her love for John in the episode’s last few minutes seemed sudden . . . as if it came out of the blue. The above mentioned problem may have been one reason why I found Margaret and John’s romance unconvincing. Another problem was that I found the on-screen chemistry between the two leads, Rosalie Shanks and Patrick Stewart, rather flat. In short, they did not seemed to have any real chemistry. The two leads gave first-rate, if somewhat flawed performances in their roles. Aside from a few moments in which I found Shanks’ Margaret Hale a bit too passive, I thought she gave an excellent, yet intelligent performance. Stewart seemed as energetic as ever, even if there were moments when his John Thornton seemed to change moods faster than lightning. But they did not click as an on-screen couple. Also, Turner’s screenplay failed to any signs of Margaret’s growing attraction toward John. It simply appeared out of the blue, during the series’ last few minutes. I certainly had no problems with the other performances in the miniseries, save for a few performances. Robin Bailey did an excellent job in portraying Margaret’s well-meaning, yet mild-mannered father, Richard Hale. Bailey seemed to make it obvious that Mr. Hale was a man out of his depth and time. Kathleen Byron perfectly conveyed both the delicate sensibility and strong will of Margaret’s mother, Maria Hale. I was very impressed by Rosalie Crutchley’s portrayal of the tough, passionate and very complex Mrs. Hannah Thornton. I could also say the same about Norman Jones, who gave a very fine performance as union representative Nicolas Jones . . . even if there were times when I could barely understand him. Christopher Burgess’ portrayal of Boucher struck me as very strong . . . perhaps a little on the aggressive side. And Pamela Moiseiwitsch gave a very funny portrayal of John’s younger sister, Fanny; even if her performance came off as a bit too broad at times. It was a blast to see Tim Pigott-Smith in the role of Margaret’s fugitive brother, Frederick Hale. 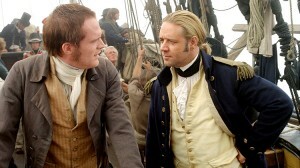 I say it was a blast, due to the fact that Pigott-Smith portrayed Richard Hale in the 2004 miniseries, 19 years later. As much as I enjoyed seeing him, there were times when his performance came off as a bit hammy. 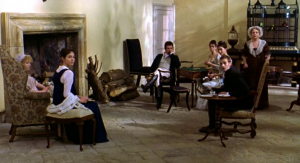 Overall, “NORTH AND SOUTH” is a pretty solid adaptation of Elizabeth Gaskell’s novel. Aside from a few changes, it more or less adhered to the original narrative, thanks to David Turner’s screenplay and Rodney Bennett’s direction. And although it featured some fine performances, the miniseries did suffer from some narrative flaws and a lack of chemistry between the two leads – Rosalie Shanks and Patrick Stewart. However, “NORTH AND SOUTH” still managed to rise above its flaws . . . in the end. There are times that I find it hard to believe I have seen at least four adaptation of Jane Austen’s 1815 novel, “Emma”, in the past year-and-a-half. Four adaptations. There have been a good deal more than four adaptations. But I have yet to watch any of them. The last adaptation I watched turned out to be writer/director Douglas McGrath’s 1996 film, which starred Gwyneth Paltrow. Although the actress had been working for a few years, it was her performance as Emma Woodhouse that put her on the map to stardom. In fact, I would say that “EMMA” also proved to be a professional milestone for co-stars Jeremy Northam and Toni Collette. “EMMA” turned out to be the second movie that featured both Paltrow and Collette as co-stars. And the movie also proved to be the directorial debut of Douglas McGrath. Was the movie worth the importance in the careers of the four mentioned? Perhaps. 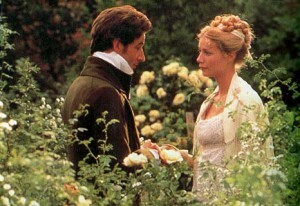 I would never claim that “EMMA” was the best adaptation of Austen’s 1815 novel. There were aspects of it that I found unappealing or troubling. McGrath’s use of the Jane Fairfax character struck me as rather minimal. In fact, poor Polly Walker was barely able to speak more than five or six lines during her entire appearance in the movie. I got the feeling that the director/writer was not particularly interested in the character. And his limited use of poor Jane made me wonder why Emma would harbor any jealousy toward her in the first place. The characters of Isabella and John Knightley were barely used as well. I found this disappointing, since both have proved to be very interesting in other adaptations – especially the slightly rude John Knightley. Another problem I had with “EMMA” proved to be Ewan McGregor’s portrayal of Frank Churchill. I do not if the problem was the actor or McGrath’s writing. But the portrayal of the character seemed . . . off. Frank seemed more busy trying to hide his feelings for Jane, instead of forming any kind of connection to Emma. In other words, this movie did not do justice to the characters of Frank Churchill, Jane Fairfax, and the John Knightleys. 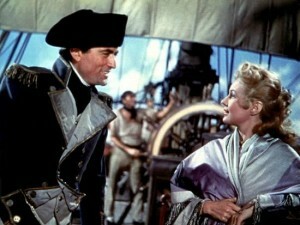 But despite these flaws, I must admit that “EMMA” turned out to be a very entertaining and first-rate movie. Personally, I believe that the movie’s top-notch owned a great deal to McGrath’s direction. The director shot “EMMA” with a steady pace that allowed the audience to enjoy the greater details of Austen’s tale. This is really a well paced movie, despite the few nips and tuck McGrath inflicted into the story. “EMMA” could never bore me with a slow pacing. Yet, at the same time, it did not race by with the speed of a comet. Another aspect that contributed greatly to “EMMA” proved to be its comic timing. I honestly have to say that the 1996 film might be the funniest adaptation of Austen’s novel. This was especially apparent in two particular scenes – the Westons’ Christmas party, Emma and Mr. Knightley’s conversation about Harriet Smith and Robert Martin, and a specific moment during the Coles’ supper party that I cannot really explain with words. There were changes to Austen’s novel that many have protested against, but did not bother me one whit. Some have pointed out that Sophie Thompson had been too young in 1995-96 to portray the middle-aged Miss Bates. She was in her early 30s at the time. Even McGrath had initially rejected her for the role when she first auditioned. But once Thompson donned a pair of glasses that made her seem several years older. And the age range for middle-age is pretty uncertain – even to this day. One range stretches from the mid-30s to the mid-60s, in which Miss Bates would fit. Besides . . . Thompson’s portrayal of the chatty Miss Bates is so deliciously funny that in the end, I am glad that McGrath had cast her in the role. Other changes include both Harriet Smith and Emma being rescued from the gypsies by Frank Churchill, the location of Emma’s first meeting with Frank, and the convergence of both the strawberry picking and the Box Hill picnic into one outing. Two of the bigger changes proved to be Harriet’s reaction to Emma’s engagement to Mr. Knightley and the circumstances that surrounded Emma’s insult to Miss Bates. I found these last two changes somewhat of an improvement to Austen’s story. I have always thought that Austen had glossed over Harriet’s reaction to Emma and Mr. Knightley’s engagement. After allowing Harriet to develop a crush over Donwell Abbey’s master, Austen went out of her way to avoid or evade how Harriet might have reacted to the news. 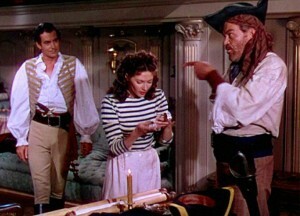 McGrath, on the other hand, approached the matter with a little more realism by allowing Harriet to react with tears. The other change featured Emma’s insult to Miss Bates on Box Hill. In the novel and other versions, Emma’s insult regarding Miss Bates’ intelligence had been laced with humor. Emma’s insult was tinged with malice in this version, due to her anger over the Eltons’ cold reaction to Frank’s regard for her. And instead of Jane Fairfax refusing to see Emma during the latter’s visit to the Bates’ home following the picnic, it was Miss Bates who refused to see her. Now many “purists” might have a problem with these changes. I did not. As far as I am concerned, these changes did not harm the story. I can say this about “EMMA” . . . it proved to be one of the most beautiful looking Austen adaptations I have ever seen. I am not familiar with Ian Wilson’s work, other than his photography for the 1981 miniseries, “THE FLAME TREES OF THIKA”. And I have not laid eyes on that particular production in many years. I only hope that it looks as beautiful and lush as Wilson’s photography in “EMMA”. My God, I never thought that such lush and sharp colors could look so elegant. The look and style of Wilson’s photography seemed to match Ruth Meyer’s costume designs. The light elegance and pastel coloring featured in Meyer’s costumes almost gave them an ethereal vision – especially those costumes for the female cast. Meyer had received criticism from those who claimed that her costumes did not accurately reflect the Regency decade or English fashion. I was too busy enjoying Meyer’s costume designs to really care. “EMMA” provided some first-rate performances from the cast. Well . . . let me rephrase that statement. From most of the cast. Poor Ewan McGregor was nearly defeated by McGrath’s written portrayal of Frank Churchill and that damn wig he was forced to wear. The London Film Critics’ Circle gave him the British Actor of the Year award. I am sorry, but I do believe he did not deserve this award. And he would be the first to agree with me, considering his past criticism of his performance. And poor Polly Walker was damn near wasted in her role as Jane Fairfax, due to McGrath’s failure to give her any depth. And lines. There were times I felt that McGrath was more interested in Emma’s reaction to Jane’s “perfections” than in the character. But the rest of the cast fared just fine. Both Greta Scacchi and James Cosmo gave solid performances as Mrs. and Mr. Weston (Emma’s former governess and Frank’s father). I could say the same for Phyllida Law’s silent portrayal of the defeated Mrs. Bates. Denys Hawthorne gave a charmingly humorous portrayal of Emma’s father, Mr. Woodhouse. But I did not find his performance as memorable as some of the other actors who have portrayed the character. But there were performances that really knocked the wind out of me. Juliet Stevenson was hilarious as the verbose and vulgar Mrs. Augusta Elton. She was so perfect (and annoying) in the role that I found myself wishing someone would bash her over the head to stop her prattling. However, I could stand and listen to Sophie Thompson’s prattling all day. I really enjoyed her portrayal as the equally verbose and pitiful verbose Miss Bates. I especially enjoyed her habit of loudly repeating a word or line in order for her silent mother to hear. Alan Cummings struck me as deliciously insidious as the fortune seeking Reverend Philip Elton. What I found amazing about his performance was his transformation from the slimy courtier to Mrs. Elton’s henpecked and dominated husband. The three performances that really caught my attention came from Gwyneth Paltrow, Jeremy Northam and Toni Collette. The latter gave one of the best comic performances I have ever seen in an Austen production. Her portrayal of the easily manipulated Harriet Smith reminded me of Debbie Bowen’s portrayal in the 1972 miniseries. But I believe Collette injected more comic skill into the role. Although Jeremy Northam was slightly younger than the literary George Knightley, he easily conveyed the character’s dignity and wisdom . . . and at the same time injected a great deal of wit and excellent comic timing into his performance. One of my favorite Northam moments turned out to be Knightley’s silent reaction to Emma’s duet with Frank Churchill at the Coles’ party. Northam’s Mr. Knightley looked as if he had found a worm in his salad and his expression had me shaking with laughter. Gwyneth Paltrow’s portrayal of the well-meaning, yet snobbish Emma Woodhouse projected her into stardom. And I can see why. She not only gave one of the best performances in her early career, but I also believe that she proved to be the funniest Emma I have yet to see in any adaptation. Yet, at the same time, Paltrow did a great job in conveying Emma’s more dramatic moments and character development. Although I do not consider “EMMA” to be the best adaptation of Jane Austen’s 1815 novel, I have to admit that Douglas McGrath both wrote and directed an excellent film. He was ably supported by Ian Wilson’s beautiful photography, Ruth Meyer’s gorgeous costumes and a first-rate cast led by the excellent Gwyneth Paltrow. McGrath’s body of work may not have been that perfect, but I believe he can look back on his work for “EMMA” with great pride.